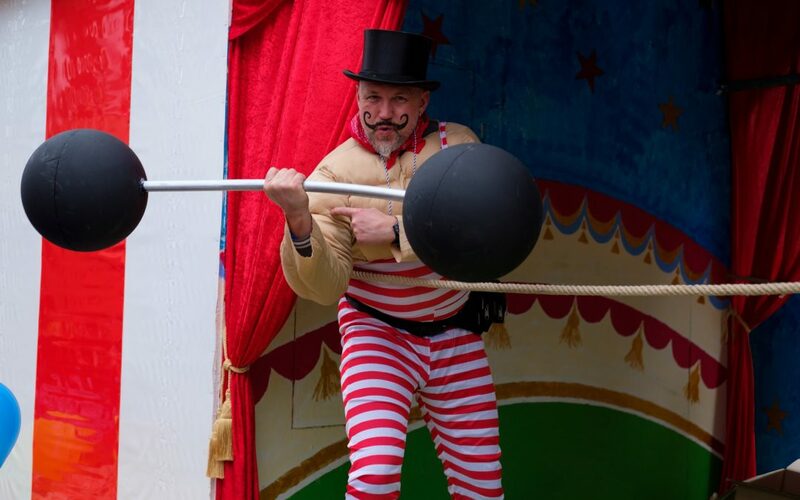 What is muscle strength? Really easy question, right…Or is it….? Entertain me for a second here and take a minute to write down your answer, as if your colleague asked you (not a patient). Did your answer match any of these? Unfortunately all of these answers are wrong. Let me clarify. Muscle strength may play a role in each of the things listed above, BUT is not the definition of muscle strength, and that’s critical! We need standardised terms and definitions in life to facilitate understanding, and specific to physiotherapy, so that treatments can be designed, delivered and measured effectively. 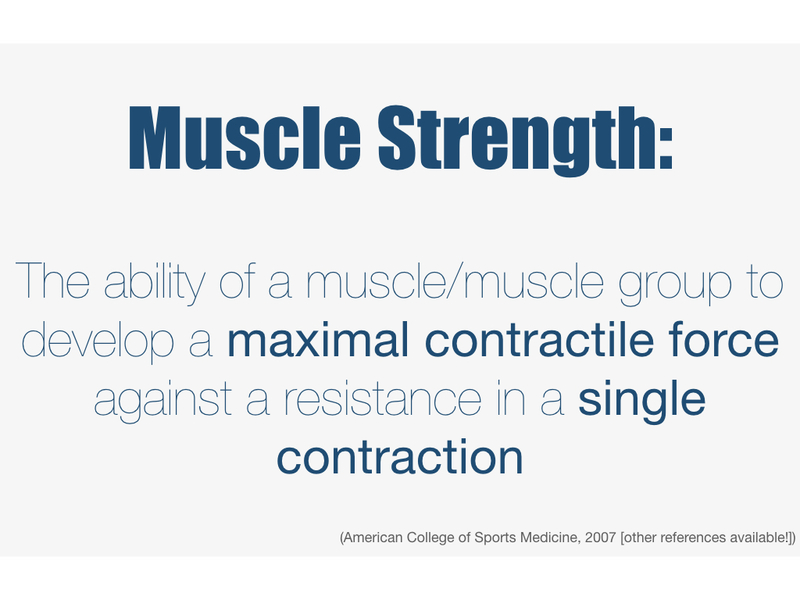 So, if we all have a different definition of muscle strength, how can we work towards the same goal? One can imagine we will all develop different ways to rehabilitate it. This means the potential for wasted time and effort. Why?? Dialogue between professionals will be confused as people have different interpretations, measurement of outcomes will be substandard and the recovery of the patient jeopardised. Refer to the scientific literature via PubMed or Google Scholar and you’ll retrieve 1000s of papers on muscle strength. Each may have different applications, population groups and interventions, but invariably the measurement of strength will involve the recording of the maximal force of a muscle/muscle group in a single contraction … THAT’S MUSCLE STRENGTH. Should we move away from 3 sets of 10-12 reps? Should I do 8 reps with heavy weights or 30 reps with a lighter weight? Which, incidentally I’ll get to next time …and I’d just say YES in answer to the first question. I think we shouldn’t be so harsh on ourselves for this misunderstanding, the therapy literature isn’t without flaw. I conducted a systematic review a couple of years ago: Considerations of the Principles of Resistance Training in Exercise Studies for the Management of Knee Osteoarthritis (2017) and was surprised to report that even in the highest quality ‘gold standard’ randomised controlled trials, the Principles of Training (see last week’s post) were inconsistently applied and inadequately reported, across all included studies. In fact, despite all 34 of the studies included in the analysis citing the focus of their intervention was to increase “muscle strength”, only one approached something that might be termed a strength training intervention. You can read the full text of the article Here. I view muscle strength like your fuel tank. Very simplistically put, the fuller the tank, the less you have to use during sub-maximal tasks (think about the challenge of an old frail person standing up out of a chair compared to a fit younger person) and the larger your capacity for adaptation and development of other abilities, like muscle power, or rate of force development. That’s a topic for another post! So, to use the same analogy, don’t fill your car that runs on diesel with unleaded, your won’t get very far and it’ll still cost you a lot.